Try Continuous Ink System with your Epson NX100 and make 30 times more quality prints for the same money! Pay only 0.04 USD for A-4 full color print! Replacing printer cartridges is probably the most annoying and costly part of the printing process. 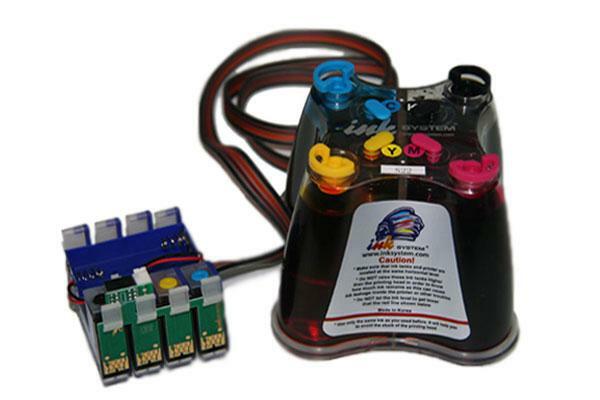 With the ink system for Epson NX100 no more new cartridges are needed: ink tanks, which the CISS ink system Epson NX100 utilizes, are connected directly to cartridges and provide incessant ink supply. Thus, unlike traditional printer cartridges, Epson nx100 CISS ones can be refilled as many times as needed, instead of being replaced. 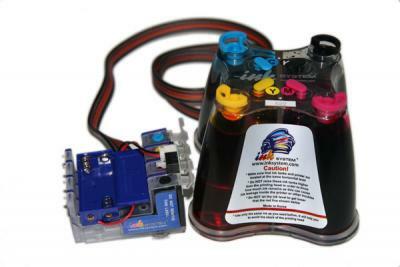 This allows consumers to reduce printing costs, as the price of ink in a capacious tank is considerably lower than in a cartridge. As tanks in such systems as continuous ink system Epson NX100 or ink system for epson workforce 610 contain more ink than original cartridges do, it is much more economically feasible to use them. Utilizing bulk ink system for Epson stylus NX100 is advantageous not only in financial aspect, but also in terms of usability. When ink ends in a conventional cartridge, one has to stop printing, open up the device and replace the cartridge. In addition to this, if the user does not notice that ink is running out, some prints will be spoiled. These inconveniences can be avoided if CISS Epson NX100 is applied. Since ink tanks in CIS for Epson NX100 and other similar systems like epson workforce 600 ciss are placed outside the device, they can be refilled without interrupting printing. This is an important advantage for companies who need their printers running uninterruptedly and producing big volumes of top quality prints. CISS Epson NX100 is not only effective, but also absolutely harmless for the printing device. 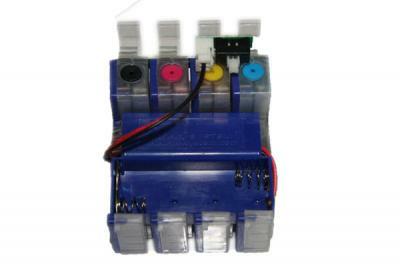 Its cartridges are identical to manufacturer ones, so there is no risk they will interfere with the printer structure. Produced in modern South Korea factories, CIS for Epson NX100 provides the highest level of printer security.